South Carolina’s low country has always been steeped generously in heritage, rich culture, and well-mannered southern hospitality, and it’s that charm that drives how Taylor Agency serves the residents of Charleston, SC and the surrounding communities located throughout the low country and coastline. Because of the diverse neighborhoods, geographic features, and risk characteristics unique to our region, we offer five local branch offices who know the nuances of each community we serve. Whether you’re at the beach, in a historic district, or inland, we know the markets that are best suited for you, your family, and your most cherished belongings. Taylor Agency takes a multi-level approach to customer service that’s both personal and professional. As your insurance advocate, we work for you and not for any individual insurance carrier. While our partnerships with 40+ highly rated personal insurance companies will allow you to choose from a wide selection of coverage types and prices, your local dedicated servicing agent will work hard to build a longstanding relationship with you and your family. Each year, at your annual review, your team of advisors will re-evaluate and present the best coverage options available to you. In addition to being accredited and having earned insurance designations, our agents are expected to participate in ongoing next-level certifications. In addition to having a local designated service agent just for you, you’ll gain online access to our Client Portal. Powered by Vertafore’s cutting-edge technology in insurance, you’ll have instant accessibility to auto ID cards, vehicle equipment schedules, claims reporting, policy change requests, and more. Taylor Agency offers personal insurance coverage for every family size and can meet every type of personal insurance risk exposure. Below are some of the coverage types we offer. To see how we can build a relationship with you, Contact Us Today! Our Homeowners Insurance Program covers every type of home featured throughout South Carolina’s low country. As we assess your home’s needs, addressing issues like rising waters, water/sewage backups, wind & hail coverage, named storms, and earthquakes will be evaluated right along with you. Ultimately, you’ll always have the power of choice, so to ensure you understand our professional recommendations, we’ll always explain the subtleties and differences of your alternatives in clear and plain English so that there are NO surprises or unexpected gaps in the coverage you need. Of course, broader coverage options are always available. Taylor Agency insures traditional inland homes, waterfront properties, marshfront landings, significantly high-value homes, historical homes, condominiums, vacation homes, residential rental properties, and renters. For more general knowledge about homeowners insurance, visit Trusted-Choice’s Homeowners 101 FAQ. Taylor Agency believes automobile insurance should absolutely complement your homeowners insurance. Generally speaking, this means bundling your home and auto insurance together with one company and asking for other various discounts (i.e. multi-car discounts, safe drivers, accident forgiveness, etc.). As an independent insurance agency, we’ll compare the discounts of multiple insurance companies at once and recommend when bundling works to your advantage (versus the alternative of keeping your home or multiple cars separate). Taylor Agency insures cars, trucks, trailers, motorcycles, high-valued cars, and classic cars for collectors. For more general knowledge about car insurance, visit Trusted-Choice’s Car Insurance 101 FAQ. An umbrella policy adds an additional layer of liability protection to your existing insurance. It’ll safeguard you against insurance gaps your primary insurance will never cover, and it shields you against the financial burden of exhaustive lawsuits. As your underlying liability limits run out of funds, all of your hard earned assets become an unwelcome financial resource to pay legal settlements. This includes your cars, your home, any retirement accounts, vacation/rental homes, watercraft, and any businesses you own. Even the future income you intend to earn from your assets are at risk. So, when considering what’s really at risk, we consider an umbrella policy a low-cost, yet extraordinarily powerful, financial planning tool that ensures your investments will still be there for you in the future. Taylor Agency offers up to $5 million in excess liability/umbrella insurance coverage. For more general knowledge about umbrella insurance, visit Trusted-Choice’s Umbrella Insurance FAQ. Even though the Holy City was recently ranked again as the #1 City in the U.S. by Travel+Leisure Magazine, Taylor Agency has always maintained an indispensable expertise in insuring vacations, travel, and recreational fun both on the water and inland. Traditionally speaking, since homeowners insurance (and auto insurance) contributes very limited coverage (or no coverage at all) for smaller boats, RVs, golf carts, trailers, off-road vehicles, and other recreational vehicles, we’ll help you discover any coverage gaps with the potential to crush your summer fun. 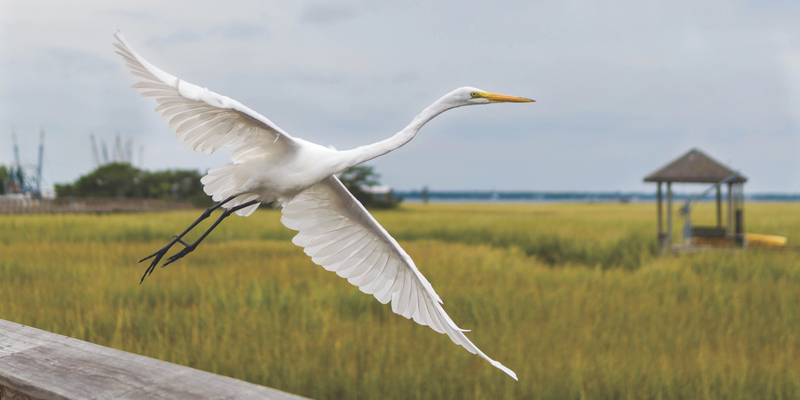 Notably, as a historically admired port of call along the Atlantic Intracoastal Waterway, Charleston, SC is frequently home to many “snowbirds” during the winter months. As such, we offer both traditional boat insurance and yacht insurance for high-value clients. For travel and fun on the water, Taylor Agency insures yachts, racers, sailboats, cruisers, jet-skis, wave runners, Sea Doo, hover-craft, smaller boats, and other personal watercraft. For more general knowledge about boat/watercraft insurance, visit Trusted-Choice’s Boat Insurance 101 FAQ. For travel and fun on land / off-road, Taylor Agency insures RVs, motorhomes, campers, travel trailers, 5th wheels, and off-road vehicles (i.e. snowmobiles, dirt bikes, dune buggies, four wheelers, golf carts, and ATVs). For more general knowledge about motorhome insurance, visit Trusted-Choice’s RV insurance 101 FAQ. Because your most sentimental belongings and other high value personal property will never be adequately covered with a homeowners insurance policy, additional coverage is sometimes needed. During our insurance review with you, Taylor Agency will help you determine which of your cherished assets are most at risk and how to obtain proof of their value (for insurance purposes). When it’s appropriate, we’ll recommend a range of coverage options from several insurance companies who specialize in personal inland marine insurance. Taylor Agency insures jewelry, fine art, original artwork, one-of-a-kind pieces, furs, antiques, silverware, computers, musical instruments, golfing equipment, cameras, and other collector’s items (i.e. stamps, coins, vintage comics, classic toys, action figures, dolls, autographed memorabilia, sports memorabilia, baseball cards, etc.). For more general knowledge about inland marine insurance, visit Trusted-Choice’s Inland Marine Insurance Explained. Did you know that floods are the most common and most expensive natural disasters in the U.S. according to the National Flood Insurance Program? In addition to being the most common and costly disasters, flood damages are not covered by your homeowner’s insurance. The only flood insurance available is through the a federal program called the National Flood Insurance Program (NFIP). Fortunately, Taylor Agency is able to help you navigate the federal regulations, flood zones, and coverages of the NFIP. We will be able to incorporate all of the necessary coverage to make sure that you are protected in the event of a flood. To find out more information about this federal program, visit the NFIP website.